Located near a major university, this bar and grill has always been a favorite local spot for sports, karaoke, drinks, fun and food. 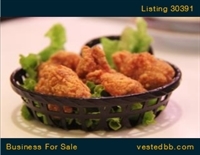 First established around 40 years ago, the restaurant is located on a major highway with good access and parking. Just over one year ago when the seller first took over, the present owner invested $150,000 in upgrades to the facility. The bar and grill now features several big screen tvs for sports and a karaoke stage, making it a popular night spot. 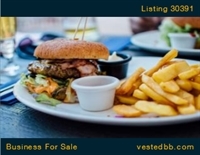 Menu features traditional American (burgers, wings, etc. ), Greek and Mediterranean. All ABC permits. Due to the demands of running a separate restaurant, the owner has only been operating this business five nights per week - 5 to 10:00 PM. The new owner could easily expand hours and days of operation to greatly increase volume. Rent on the 4,200 sq. ft. building is only $1,500 per month with a 13-year lease. 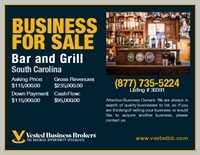 Owner only selling due to other business obligations and will consider some financing. Great opportunity to acquire a growth opportunity located in an affluent and vibrant part of the state.